CAPE CANAVERAL - Agovernment watchdog report released Friday added to skepticism that NASA'sConstellation program can develop its first post-shuttle rocket on time or onbudget. The analysis supportssimilar conclusions reached by a presidential panel asked this summer to reviewNASA's options for human spaceflight. The Ares I rocket and Orion crew capsule are unlikely to be ready to fly astronauts to the International Space Station on schedule by March 2015. That would mean a longer gap in launches from Kennedy Space Center and fewer jobs, if the shuttle is retired as planned after six more flights. Constellation's eventual cost is unknown. NASA has made progress but"will not be able to reliably estimate the time and money needed toexecute the program" without resolving significant technical and designchallenges, the report says. Those challenges, it adds,"are not likely to be overcome in time to meet the 2015 date." In a response, NASA said itmaintains the 2015 goalfor Ares I and is addressing all known technical problems. 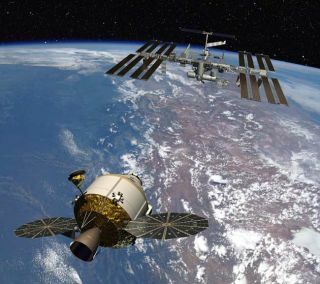 Funding shortfalls and costincreases have limited the Constellation program's flexibility to addresstechnical problems as it approaches a key design review in March, according tothe GAO. As a result, the agency is"still struggling to develop a solid business case" for implementingthe program projected to cost more than $97 billion through 2020. Unveiled in 2005,Constellation includes the development of the Ares I launcher, Orioncrew capsule, Ares V heavy-lift rocket and Altair lunar lander. The Obama administration'sU.S. Review of Human Space Flight Committee, led by former Lockheed Martin CEONorman Augustine, also concluded that NASA budgets would not allow a return tothe moon until well past the target date of 2020. Any viable program toexplore beyond low Earth orbit by the 2020s would require an extra $3 billionannually, the committee found. The Constellation programhas had some recent achievements, including the successful test firing of theAres I first stage, a five-segment solid rocket motor. At KSC, workers arepreparing to launch the first Ares I test flight on Oct. 27.